Update for the free version of TC Monitor has been released. In the new version, there is support for Ethernet I/O module – TCW241 and Ethernet data logger – TCW220. Both devices can be used either in server mode or client mode. The client mode makes a connection with devices possible even they don’t have public static IP address. The other supported devices are TCW122B-CM, TCW181B-CM, TCW240B and TCG120. In the new version, there is also optimization of SQL database. As a result, the graphs response is much faster. 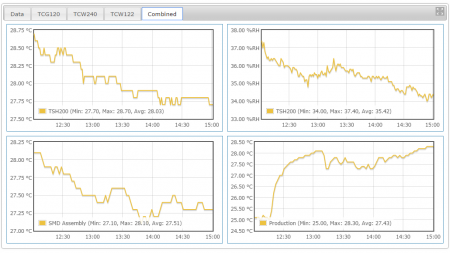 As before, the free version supports monitoring and control for up to 10 parameters (sensors). The monitored parameter can be digital input, analog input, 1-wire sensors or relay output.